This week riots erupted in Ferguson, Missouri after a grand jury there chose not to indict police officer Darren Wilson in the shooting death of Michael Brown. 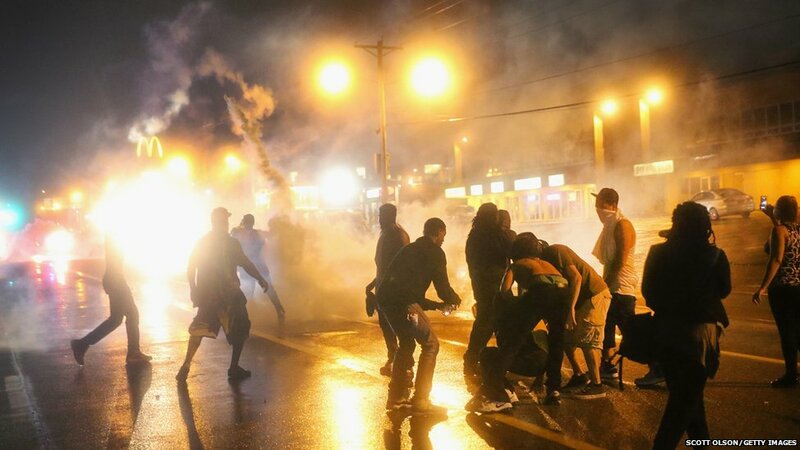 Tuesday night stores were looted, cars set ablaze, traffic halted and hundreds of shots fired. In the video below cars at a local dealership burn. By Thanksgiving Day the protests continued but in a more subdued manner. Social media remains alight with millions of posts voicing opinions of outrage or support. The verdict was Tweeted around the world. This week was also eventful for the Umbrella Revolution in Hong Kong. 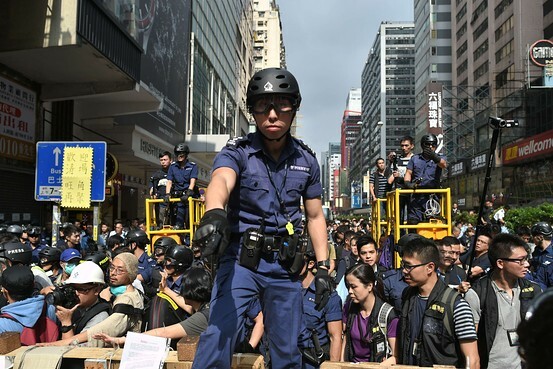 Police enforced injunctions granted by the High Court and cleared Nathan Road in Mong Kok, what Wikipedia refers to as one of the most densely populated places on Earth. Their actions led to the arrest of 169 people including the highest profile leader of the Occupy Movement, 18-year-old Joshua Wong. What separates the two riots is the amount of violence. No gunfire was heard in Hong Kong, versus the 100+ rounds of gunfire heard on Tuesday night. In Hong Kong no cars were set alight and no shops were looted, despite the area being one of the city’s most popular shopping streets. There wasn’t even graffiti. I’m not sure what this illustrates. A lack of “vinegar” in the people of Hong Kong? A lack of civility in American cities? Hong Kong has always been an orderly place. It’s the only way 7.2 million people can live in a country that is 1/3 the size of Rhode Island (America’s smallest state). People line up at bus stops, and board orderly. In immense traffic queues no one honks their horn. It’s an interesting comparison. Do you love or hate your opponent? What works better – kindness or outrage? I believe there’s room for both. 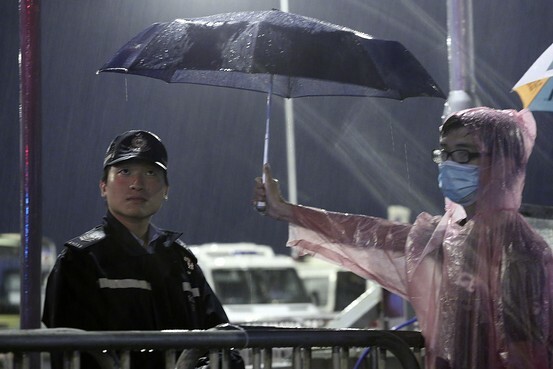 But in Hong Kong I love the small courtesies, such as the protester below holding an umbrella over a policeman. That may not have happened in Ferguson.